It was two years ago when I first made my own nail art. Back then, I don't have any nail art tools such as the dotting tool and the brush. I love doing my own nails which explains why I have a lot of nail polish of different colors at home. My first ever nail art design is a sneaker inspired one. I look around the internet to see what's in and then this one caught my eye. 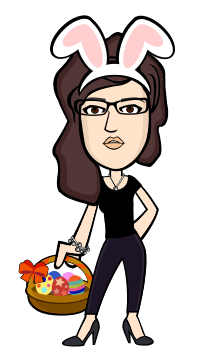 I copied the design but I used my own choice of colors. 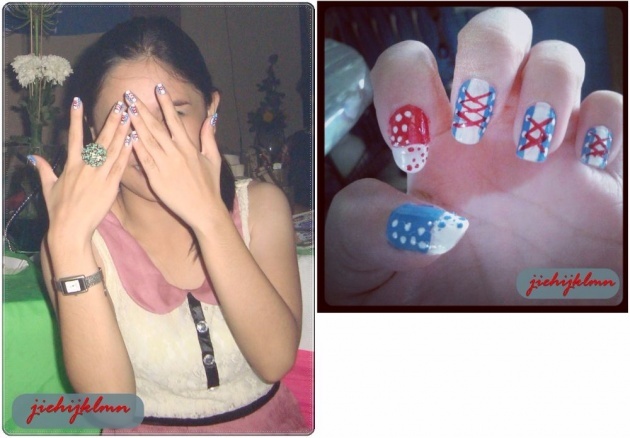 To achieve this nail art, I used nail polishes in color blue, red and white. I first applied a base coat and then I put the white nail polish all over my nails.The next step is, I carefully did the color blue part using the nail polish' brush. Since I don't have a tool that time, I kind of improvised my own tool. I found an old small brush from an unused nail polish which I used to draw the red lines which represents the shoe lace and then I grabbed a tooth pick from the kitchen and used it for creating the white dots. Ang ganda a kikay na k ikay.